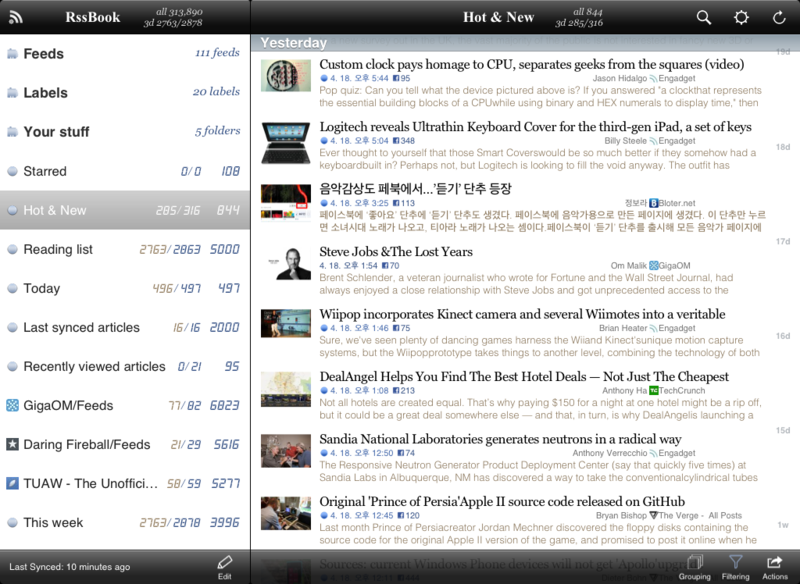 As promised, new 1.2.1 version is ready on app store. -Facebook login bug fixed: from this version, facebook login use SSO(single sign on) API. 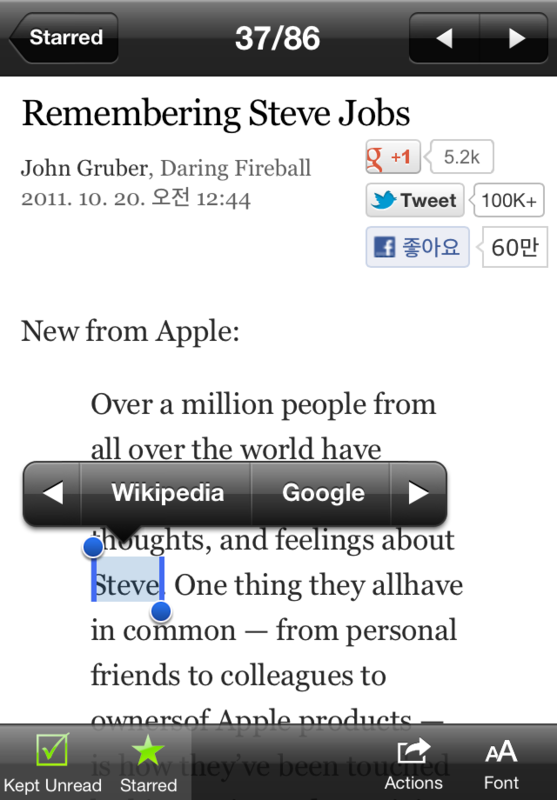 When login, installed facebook app or safari will pop up. All user must re-login. 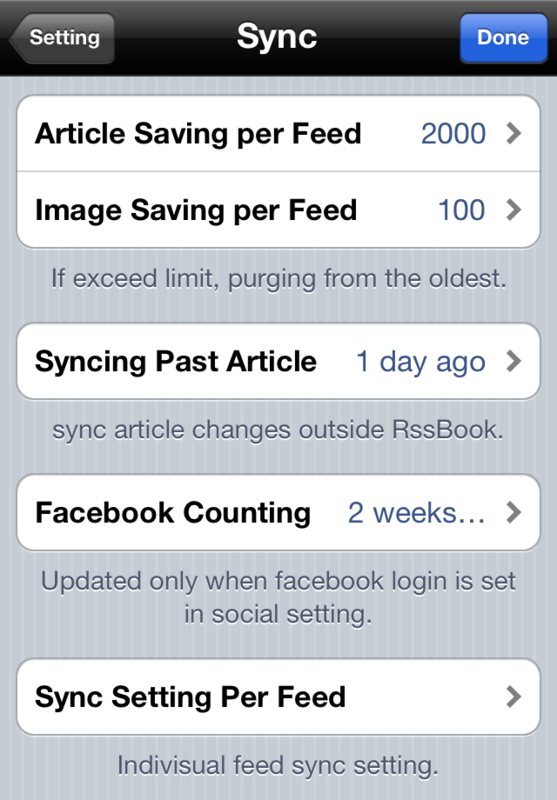 Facebook login located at setting->social->facebook. 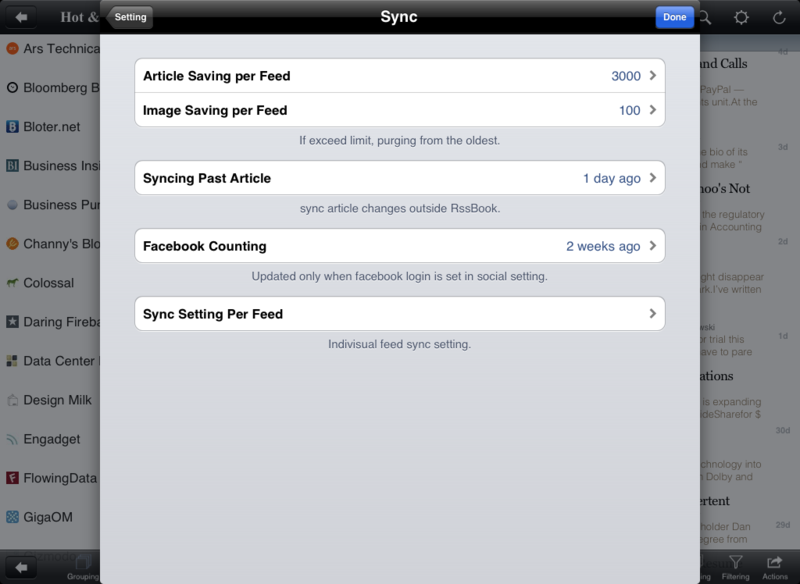 -Resync option in feed sync setting (changes): when set, image saving count change will be applied too. 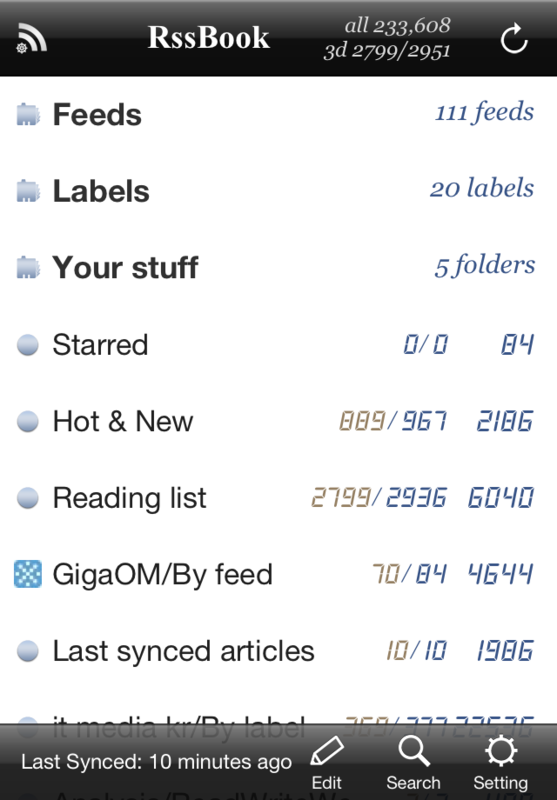 -Resync all starred articles (added): when set in sync setting, all the starred article will be re-downloaded. 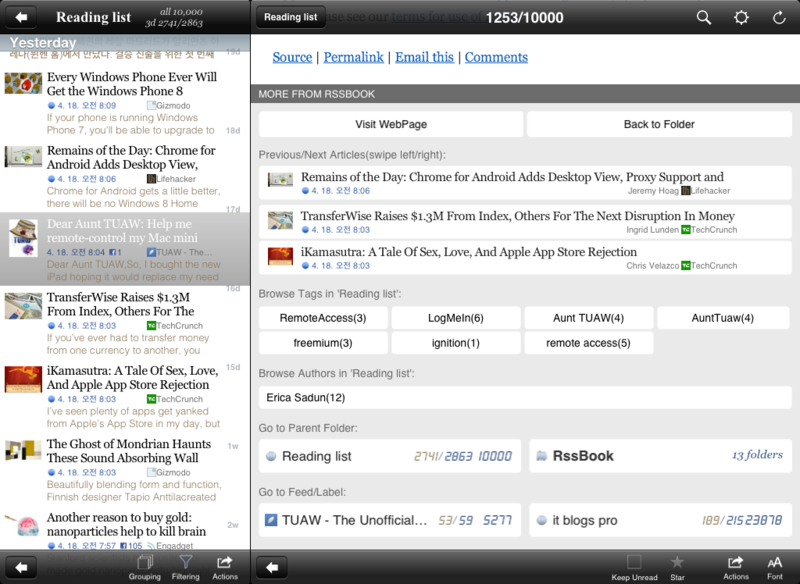 RssBook’s starred article is slightly different from Google Reader. 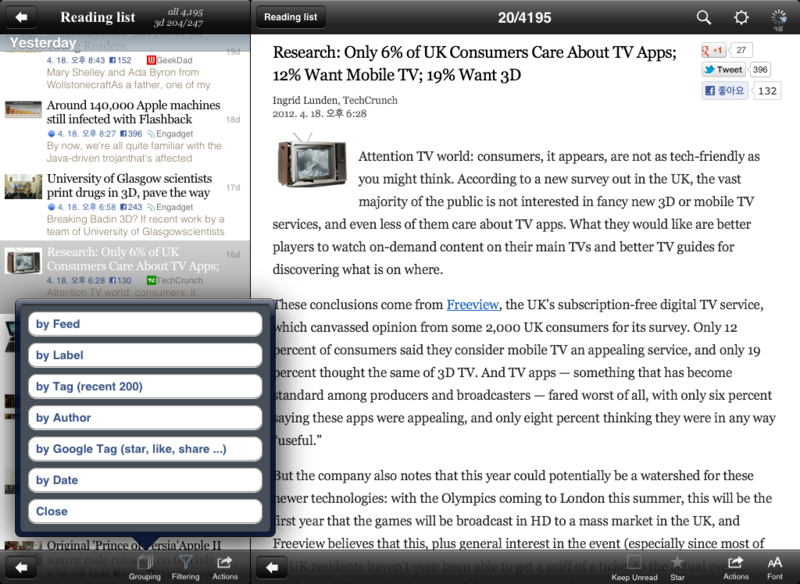 It saves only subscribed feed’s article and displayed date is article’s published date(not date that made change to starred). 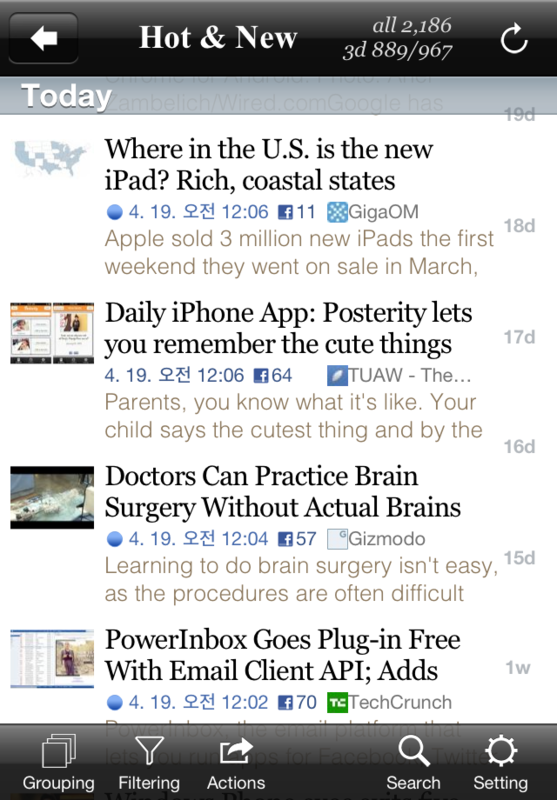 BTW, starred article is always excluded from purging if not unsubscribed.